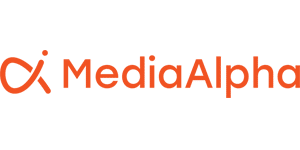 REDMOND, Wash. (Aug. 11, 2015) — MediaAlpha, the emerging leader in programmatic advertising technology for performance media, today announced the appointment of Jeff Navach as Vice President of Marketing, responsible for leading the company’s marketing and communication activities. In his new role, he will focus on building brand awareness and driving demand for MediaAlpha’s exchange technology solutions as the company expands its footprint and moves into new verticals. Navach has spent the last 8 years focused on customer engagement and B2B sales and marketing in the software and digital media industries. Prior to joining MediaAlpha, Navach was Vice President of Professional Services and Customer Success at Valkre Solutions, an early-stage software company that develops SaaS solutions for customer engagement and B2B growth. He also served as Director of Corporate Development for Oversee.net, working on corporate development, M&A and strategic planning. Navach holds an M.B.A. from The University of Chicago Booth School of Business and a B.S. in Business Economics from UCLA.